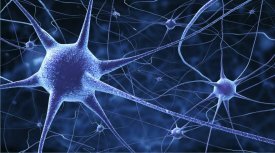 LONDON – Neurostimulation devices have proved to be effective in reducing pain of various neurological disorders (for instance, epilepsy, chronic pain, Parkinson’s disease, depression, etc.) and in providing relaxation to different therapeutic conditions (for instance, paralysed patients). The most commonly used devices include vagus nerve stimulators, spinal cord stimulators, deep brain stimulators, sacral nerve stimulators, cortical stimulators, amid others. The world’s market for neurostimulation devices is projected to increase at a 12.7% CAGR during 2017-2024, and will likely amount to the value of USD 10.2 billion. Some of the major drivers include remarkable technological advancements, escalating need for add-on services, robust population growth, strong demand from healthcare industry, ongoing product innovations and rising investments in R&D. Still, the market growth could be hampered by a number of challenges like high costs. Leading neurostimulation devices market players include NDI Medical, Boston Scientific Corporation, NeuroSigma, Cyberonics, Synapse Biomedical, Jude Medical, Neuropace and Nevro Corporation. New research publication “Neurostimulation Devices Market (By Device Type, By Application, By Geography) Global Scenario, Market Size, Outlook, Trend, and Forecast, 2015-2024” created by Variant Market Research offers a comprehensive overview of the market landscape, trends and dynamics. It provides relevant top-level market data, covers the key market growth influencing forces, discusses the major growth challenges and opportunities, and touches upon the major regulations. Moreover, this study investigates the situation across the key geographical markets for neurostimulation devices and also gives a detailed market segmentation analysis on the basis of device types and applications. Furthermore, this report describes the competitive landscape, reviews the leading market players, discloses market performance estimates for 2015-2016 as well as offers a future outlook for the neurostimulation devices market up till 2024. Follow Variant Market Research page to get access to many other in-demand research reports worked out by this publisher.